Who ever said a bit of competition and debate wasn’t a good thing? Over the past two months, there have been two major news stories centred around big companies going head-to-head with one another in public. Just this week, Amazon and The New York Times have locked horns over an article written by The Times in August about the online retailer’s work culture. The story, which was a large piece in the daily paper, resulted in an Amazon VP drafting a 1300-word essay on Medium.com, refuting the article and claims made in it. From there, The Times Executive Editor responded with an equally long post to Medium and so on. 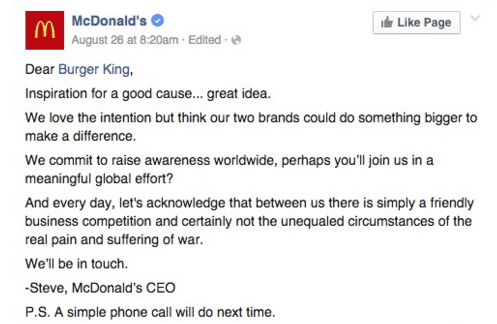 What was the response from McDonald’s, you ask? So what can local businesses learn from Amazon vs New York Times and McDonalds vs Burger King. It’s that a bit of competition and debate can lead to some tremendous exposure. By making things public, all of the businesses involved were not only widely seen on Facebook and Twitter, but news stories flooded the internet from sources like Forbes, BBC Business Insider and dozens of other national outlets. As a marketing expert, I think a bit of friendly competition and debate is great. Not only does it keep things fresh and interesting, but it also offers a new way of getting into the public eye. 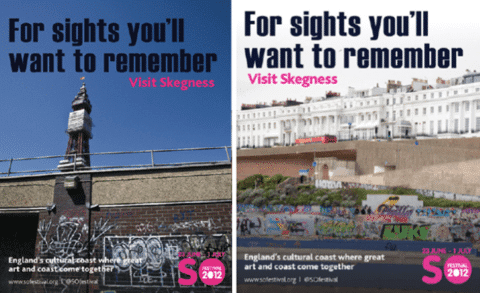 For example, in 2012, after working with SO Festival – an East Lindsey / Skegness arts & culture event – for the previous two years, we knew that putting Skegness on the national news agenda would take a bold move. We recognised that we needed to do something that would provoke a reaction, capture media’s attention and bring other seaside towns into the debate about the need for coastal resorts to market themselves. As Brighton and Blackpool both sit above Skegness in the tourism league tables, we decided to place these controversial advertisements in their local newspapers, the Brighton Argus and Blackpool Gazette. As expected, the newspapers refused to run the ads, but ran editorials on the campaign that showed pictures of the shocking ads. The ads also spread via social media and the story escalated from a regional news item into national story, which ran for over a week, giving SO Festival organisers, East Lindsey District Council, numerous opportunities to explain the rationale behind the ads and to discuss the issues facing traditional seaside towns, whilst also promoting SO Festival 2012. In the end, the campaign reached over 23 million people and contributed to a 15% increase in SO Festival visitors year-on-year as a result of print and online media coverage with The Guardian, The Telegraph, The Daily Mail, The Daily Express and Observer, as well as radio and TV coverage in the south, north east and Lincolnshire as well as national exposure on The Million Pound Drop, This Morning and The Wright Show. Slagging off your competition just for the sake of it is an extremely terrible idea. You’ll only make yourself look like an antagonist and bully. Make sure you have a deeper underlying reason for what you’re doing. Our SO Festival campaign wasn’t just created to boost awareness for an event; it helped broach the topic of talking about the issues facing traditional seaside towns. The more serious you are, the less people will relate to your campaign. The general public always love a bit of banter and competition in their personal lives – whether it’s with partners, family or friends – so they can relate when the companies they love do the same. But if you’re downright mean or rude in what you’re saying, you again risk earning yourself the reputation of being a bad guy and bully. Be clever and witty – but not malicious. Some public tiffs fizzle out before the second party has time to rebut, but, in the case of Amazon and New York Times, both parties have gone back and forth numerous times over the course of a week – turning a small battle into a small war. 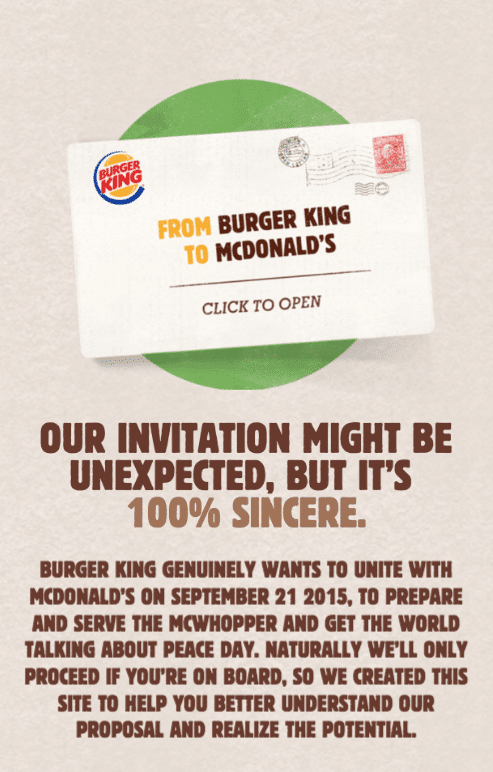 Think ahead and ensure you’ve ran through all the responses you might receive once you’ve launched your campaign. Do the positives outweigh the negatives? If so, crack on and go for it you’re comfortable. But if you can’t justify the campaign or if the negative consequences are far more than the positives, it’s best to leave the idea as just that – an idea. So there you go. A bit of friendly competition can be good for business, but don’t take it too seriously and definitely think before you speak – or else you may have some serious PR firefighting to do!